UK car exports to India grow 11-fold since 2009 as sectorÃ¢ÂÂs shift to premium accelerates. 3,372 cars exported to India in 2016, up 15.8% on previous year and making the country UKÃ¢ÂÂs eighth biggest Asian market. Asia BritainÃ¢ÂÂs third biggest trading region after Europe and America, taking 13.4% of exports in 2016. UK car exports to India have grown almost 11-fold in the past seven years, according to data released by SMMT. In 2016, Indian motorists bought 3,372 British-built cars, up from 309 in 2009. Demand rose 15.8% compared with 2015, lifting india from 10th to eight place in the UKÃ¢ÂÂs Asia export markets. UK car productionÃÂ achieved a 17-year high in 2016. 1,722,698 vehicles rolled off production lines last year, an 8.5% uplift on total production in 2015 Ã¢ÂÂ and the highest output since 1999. In addition, more cars are now being exported from Britain than ever before, the result of investment into world-class production facilities, cutting-edge design and technology, and one of EuropeÃ¢ÂÂs most highly skilled and productive workforces. In 2016, global appetite for British-built cars rose by 10.3% to an all-time high of 1,354,216 Ã¢ÂÂ a second consecutive annual record. 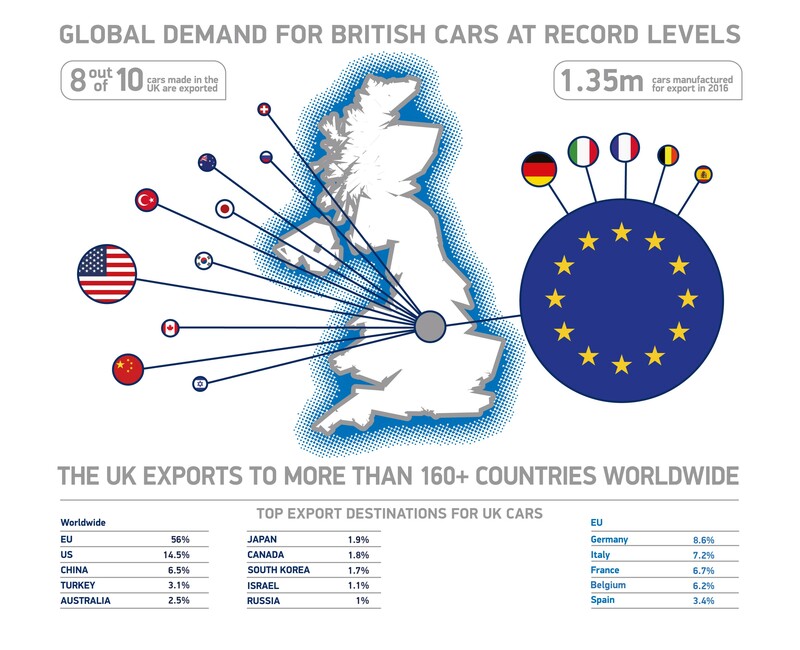 Around eight out of every 10 cars manufactured in the UK is now exported, bound for one of 160 markets worldwide. Growing prosperity in Asian markets in recent years has seen a surge in demand for premium cars, even despite high import duties in many countries. 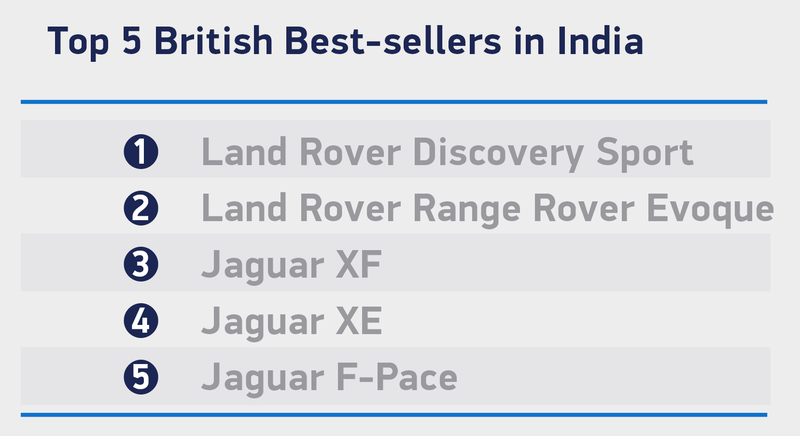 As a car market, India really understands British brands, and thanks to its engineering excellence and highly skilled workforce, the UK has a rich heritage of producing the highest quality, globally competitive premium vehicles. India and the UK have a great history of collaboration in the automotive sector and it is essential we secure a mutually beneficial trade relationships in the future. SMMT is leading a delegation of UK automotive companies to ACMA Automechanika New Delhi 2017 this week. A number of these companies, including Bearmach, Borg & Beck, CarChem, ITC, Merlin Diesel, Ranger Stork, Topgear Tuning, Universal Bodyshop and Viezu, will be exhibiting their latest product innovations at the UK Pavilion in Hall 12.